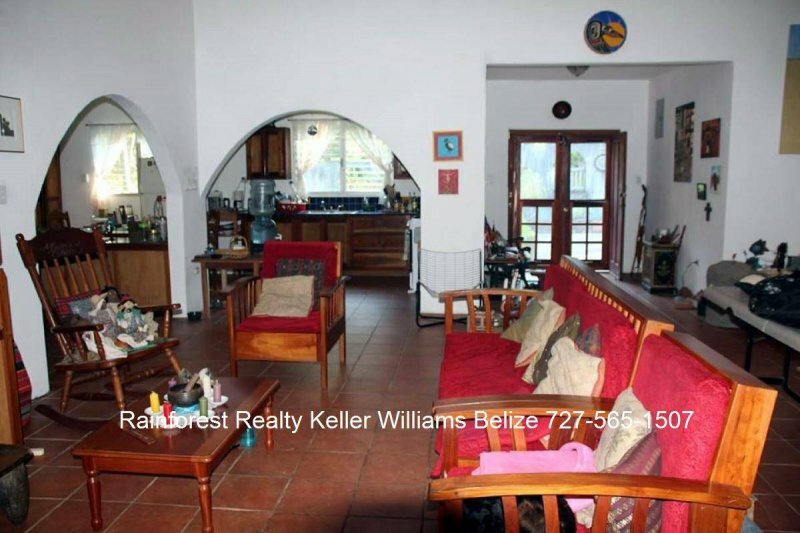 $ 367,000 USD: Belize Hacienda Style Home and Cabin in Cristo Rey: Located near San Ignacio Town in the village of Cristo Rey, this home on 6.031 acres land, features 5 bedrooms and 4 bathrooms and a 1 and a ½ bedroom cabin in the woods . Contact us for a showing. The house and property lies beyond the reach of winter’s grip on 6 plus acres in a setting as warm and colorful as its people. Accented with tropical flavors and fragrances, tucked in the undulating topography where descendants of the Maya still live today in a quiet village on the banks of the Macal River. Nearby a spectacular spring fed waterfall serves AS public pools and enroute to some of Belize’s most stunning destinations, Pine Ridge and Caracol. This place is a materialization of the dream of an internationally renowned artist. A place to ponder and create, a home to rest and relax and an atmosphere to imagine and dream. A home nestled in the tranquil hills of Cayo District yet a short drive to San Ignacio and with the modern conveniences of town grid’s electricity, water, fiber optic internet and cell phone coverage. 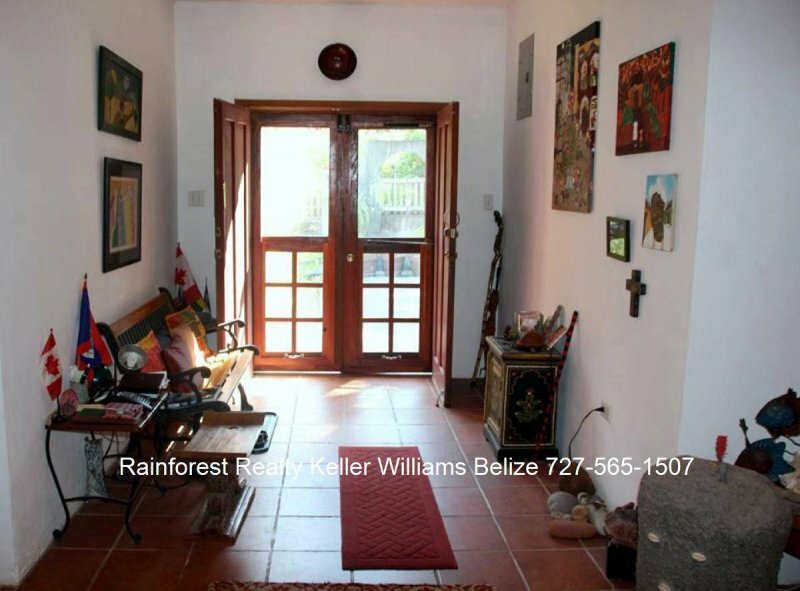 The home features four bedrooms with three baths, spacious kitchen and two additional rooms which serve as workshop & air conditioned library. The rooms are wrapped around a naturally lit central living space for art exhibits and parties or a perfect reception for a Bed and Breakfast. The ample workshop space could easily be converted into a second living room and the library into a fifth bedroom. The spaces are very versatile and can easily be transformed to serve your needs. 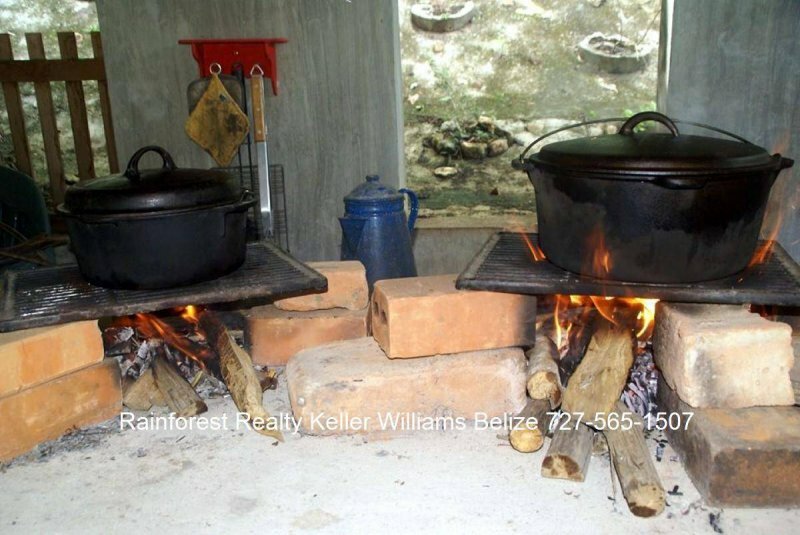 The home also features a covered outdoor Mayan kitchen complete with brick pizza oven. There is also a “fogon” or fire heart with an adjacent herb garden of thyme, oregano, rosemary, lemongrass, chives and basil. A cook’s dream setup. The guest house on the west slope above the home is tucked beneath a canopy of native trees in a forested part of the 6 acres. This income generating cabin features two bedrooms, one full bath, open floor plan kitchenette and living room. 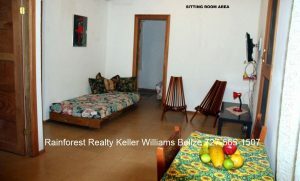 The cabin also boasts a covered verandah and herb garden within its own fenced yard and private driveway. 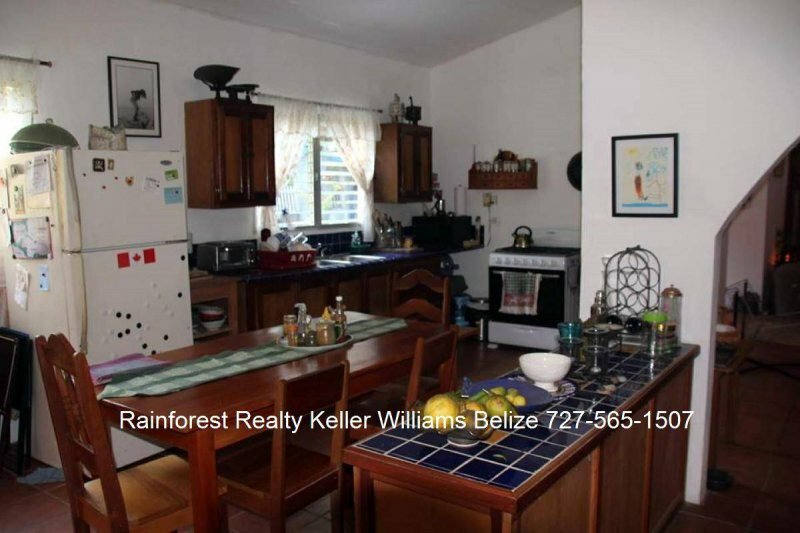 The layout of the home and land melds with the flavors and colors of the environment with various tropical fruit trees and flowering plants for a farm-to-table lifestyle. 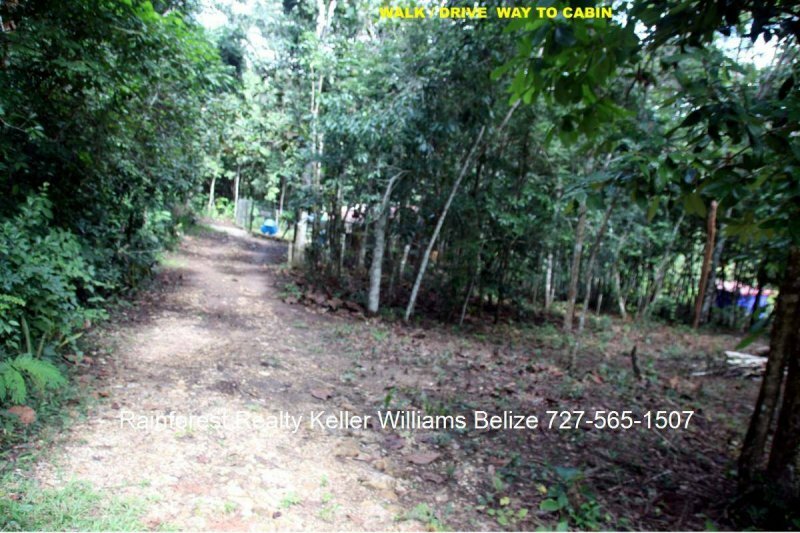 Only yards from the backdoor enjoy the bounty of the orchard which includes Coconuts, Banana, Plantain, Lime, Orange, Guava, Cashew, Mango, Almond, Mali, Mammy, Jackfruit, Breadfruit, Tamarind, Grapefruit and Lychee trees. There is also a gardener’s shed, doghouses and a comfortable outdoor bathroom in the manicured backyard. A definite “MUST-SEE” to fully appreciate the detailed beauty of this home as well as to understand the countless ways this property can be customized for your needs whether for a family homestead, ready –to- open bed & breakfast or to develop into multiple cabanas rentals.